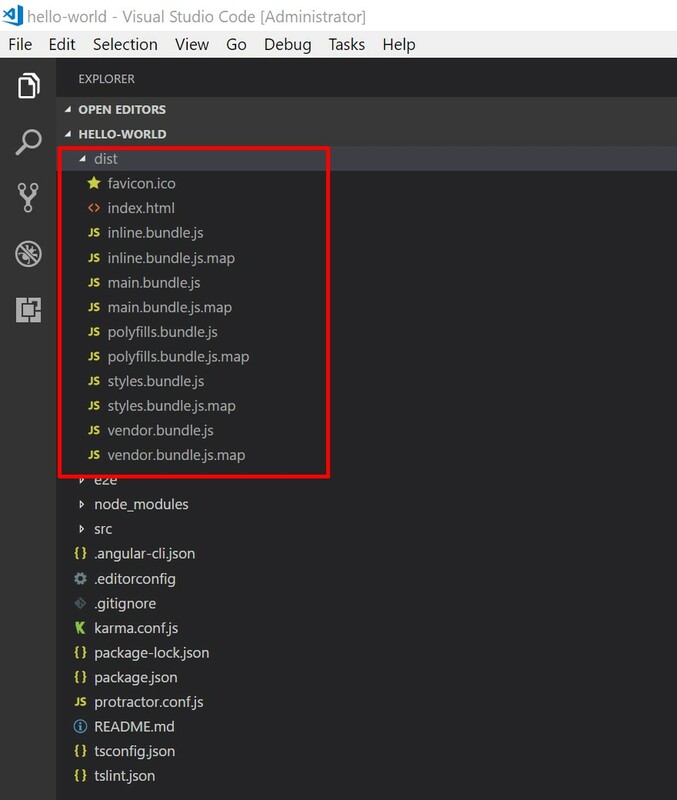 ASP.Net Core provides a number of project templates out of the box, one of which is ASP.Net Core with Angular. 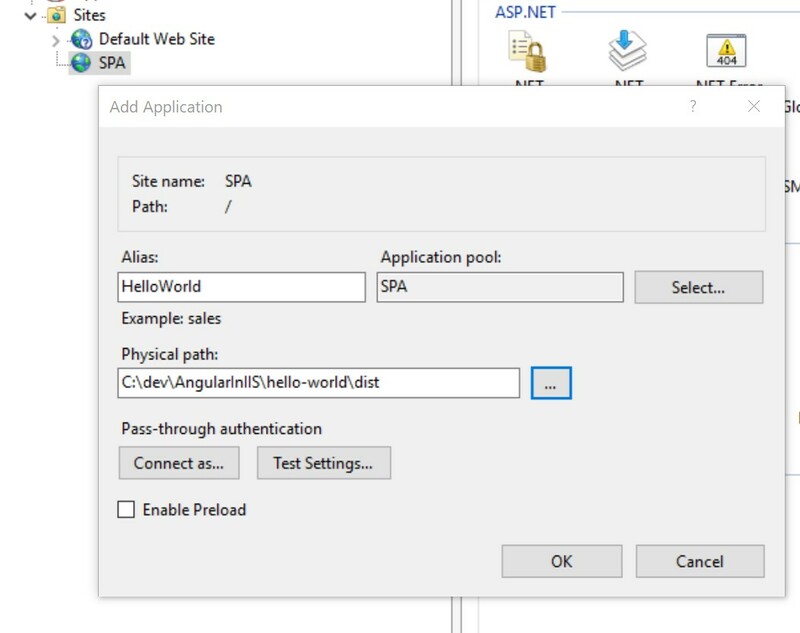 You can use this to bootstrap your Angular SPA from within .Net core application and host it within IIS. 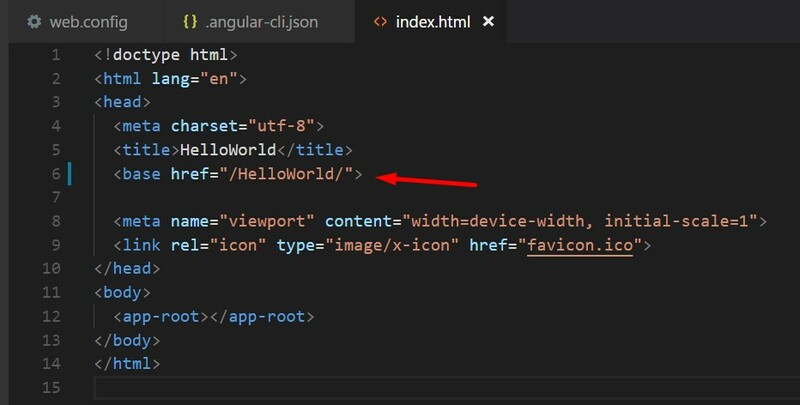 However, many prefer using Angular CLI to develop an Angular application due to its simplicity and power and as part of this post I’ll be focusing on hosting this in IIS. 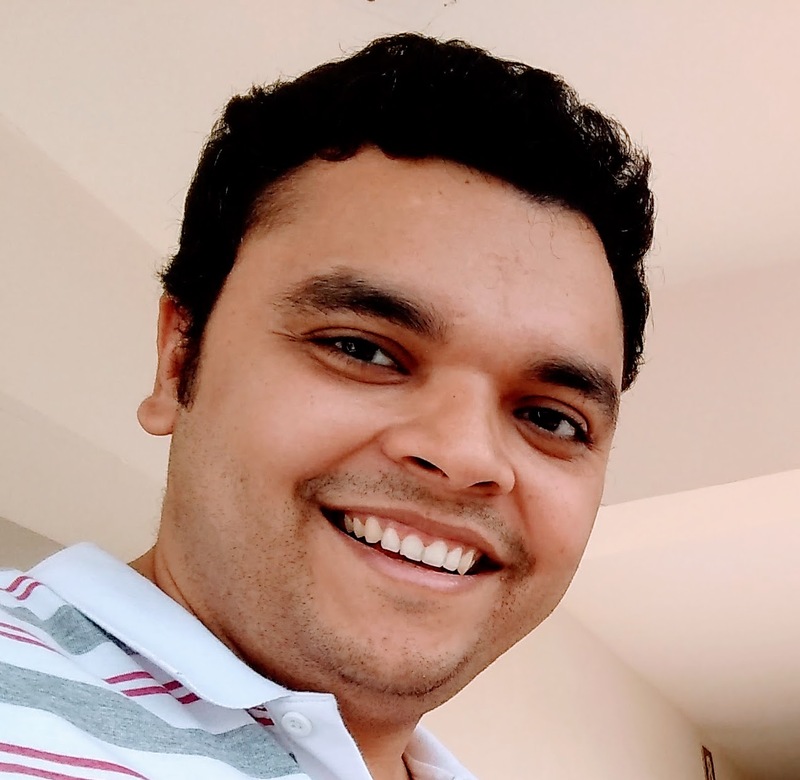 In case you are new to Angular, that’s fine too as I’ll be covering the basic steps required to create an Angular application. In case you don’t have node installed on your machine, you may download the latest version from here. Install the LTS version preferably. At the time of writing this blog the latest LTS version of Node was v8.10.0 The node installation also comes with a package manager called npm (Node Package Manager). We’ll use this to install other 3rd party libraries. 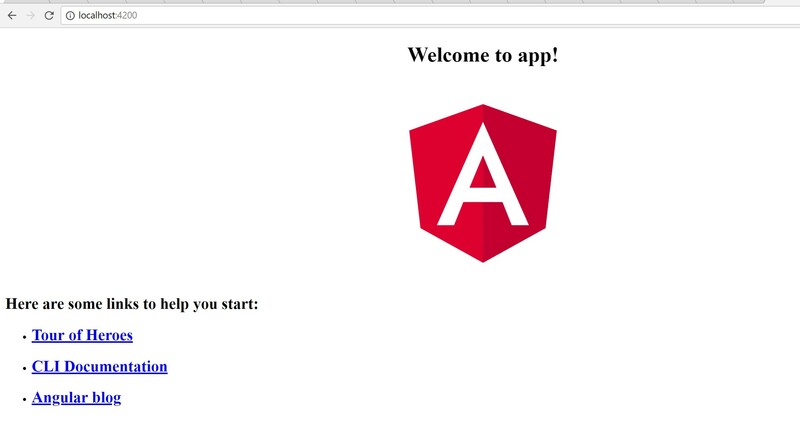 We’ll first install Angular CLI using npm. 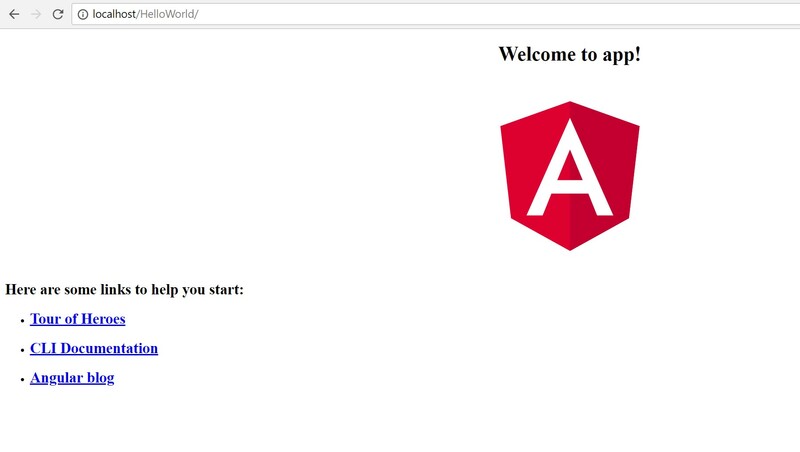 This will show the installed version of Angular CLI, Node and a few other libraries. We can now use this Angular CLI to create an Angular application. This will create the new project and install the dependent packages using npm. Now that the basic application is ready we’ll host the application from console using ng serve …. Once the build completes successfully it publishes all the build artifacts to the dist folder. We’ll be hosting the build artifacts from this folder in IIS in the subsequent steps. Create a new web site or web application or virtual directory in IIS to host the Angular application. Anyone of these will do. 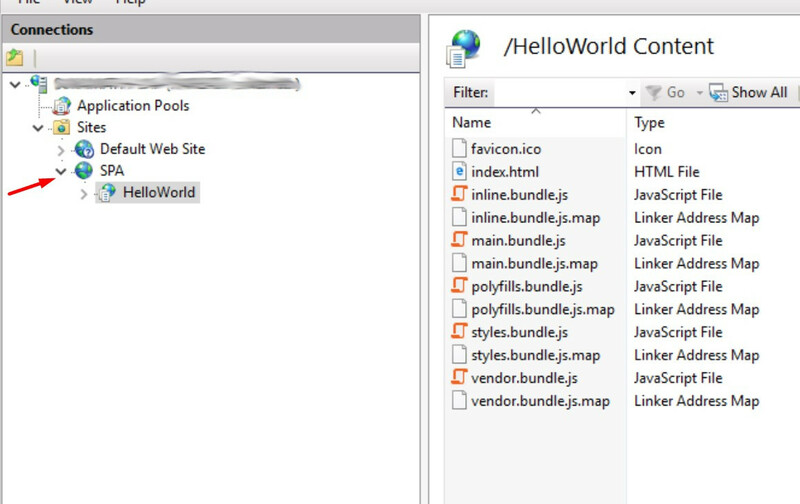 For the sake of this walkthrough we’ll create a new website SPA and create new web application HelloWorld under it. This step is required to support deep-linking. Deep-linking is the capability for the user to navigate directly to a page by typing the route into the address bar instead of using the Angular routing. 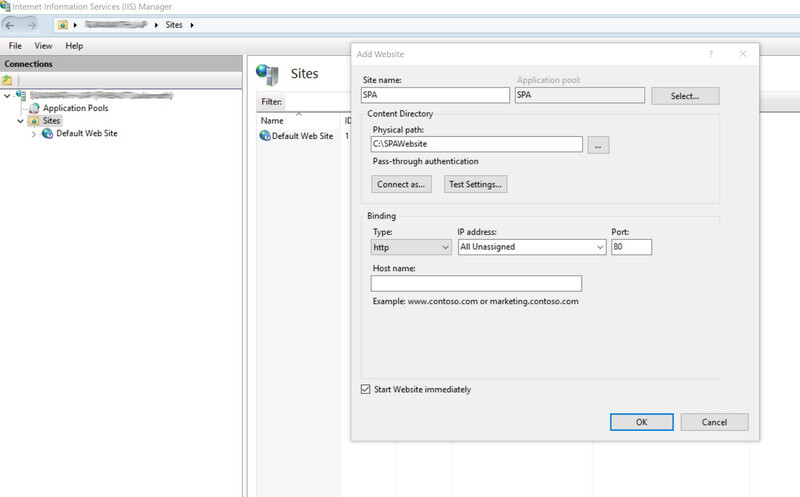 Deep-linking causes a problem for IIS because the URL that the user attempts to access is not known to the server and therefore the user receives a 404 response. The solution is for the server to always return the root of the application, even if the user requests a path within the application. After installing you should see a new icon in IIS Manager. We’ll now add a web.config file in which we’ll have the URL rewrite rule. All requests to this web application that are not for files or folders should be redirected to the root of the application. For an web application or virtual directory under the default web site, the URL should be set to the alias, (e.g. /MyApp/). For a web site at the root of the server, the URL should be set to /. 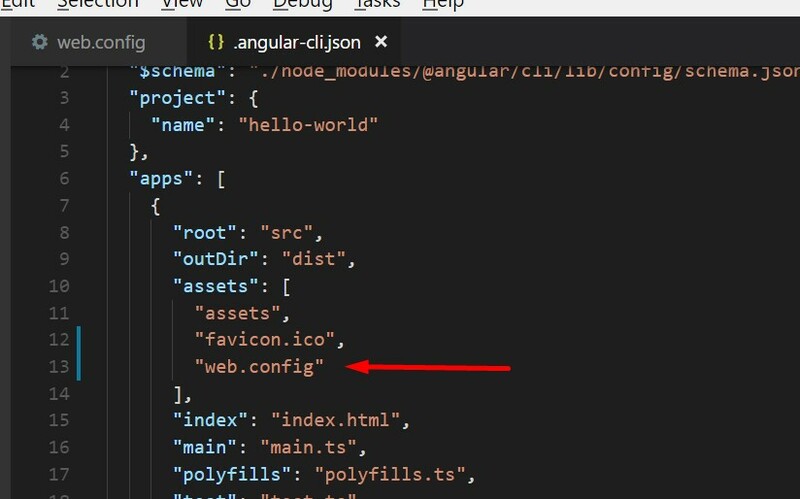 We’ll create this web.config in src folder and to ensure that this file gets copied to dist folder each time a build is generated we’ll also make an entry in the assets section in angular-cli.json. With this we can now browse the url http://localhost/HelloWorld/ from the browser. This should load our hello world page.